Somewhere in the Hundred-Mile-Wilderness, Lisa tucked herself behind a large boulder and waited. She was alone. Just her and an outdated backpack loaded with all of the typical luxuries and more. A bear can. One of those water filtration pumps with the tubes that you don’t really see anymore. Guitar. Books. And… a super-soaker. Maine is a tough place to stay dry. 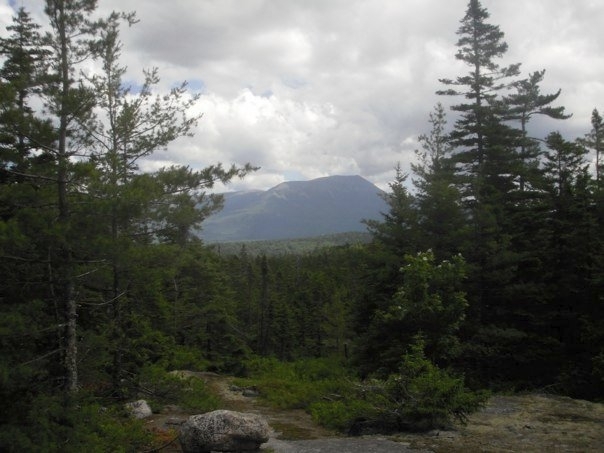 Lisa didn’t help when she jumped out from the boulder and super-soaked thru-hikers pushing for Katahdin. It was an effort to lighten their swift, grueling pace. What is desirable about walking so fast? Maybe just to get their attention to ask, she ambushed them with a super-soaker. 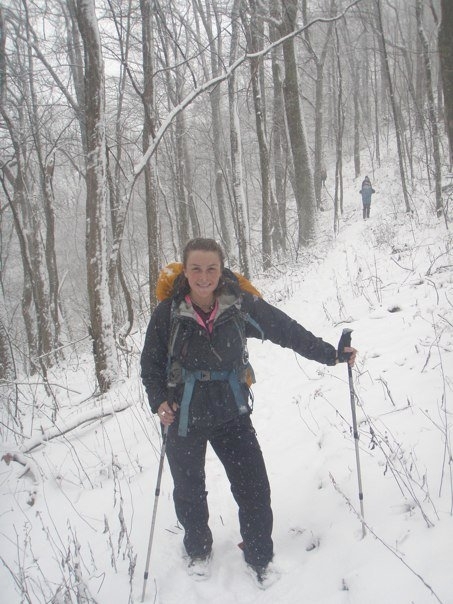 The reality of the Appalachian Trail was not on Lisa’s radar. Her impression was that there were many Appalachian Trails. One in Maine, one in Virginia. Maybe one in Vermont. It was just a term used to describe these footpaths that are among the Appalachian Mountains. She didn’t know of one trail that went all the way to Georgia. Lisa discovered this small detail in Millinocket. They handed her a guidebook. That’s how Lisa found out the AT was one really long trail. It didn’t take Lisa long to decide that she was going to try and hike the whole trail. She wanted to keep walking. So she ditched the super-soaker in Monson and the guitar soon after. New backpack and lighter shoes. 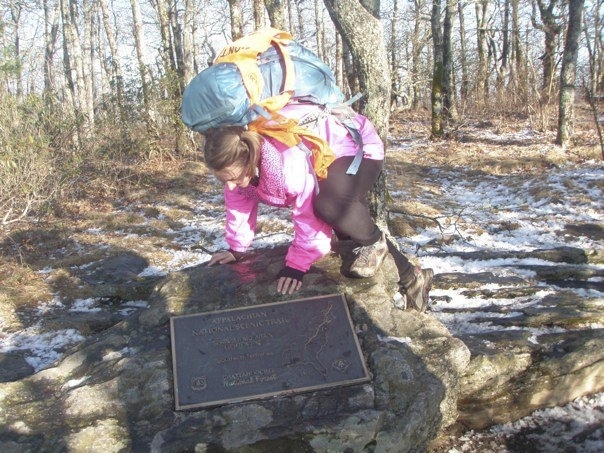 Five months after her dad sent her to Maine as a kind of practical joke, Lisa summited Springer Mountain. I met Lisa in early December and I remember from the Beauty Spot in Tennessee watching her emerge from the leafless winter forest with her poles waving in the air in the spirit of today being another good day. As it turned out, she was an exceptional hiker. Motivated and athletic, she could push big miles or just keep trudging when the conditions demanded it of her. Mentally, her attitude was a force of positivity and her humor carried her a long way. When I watched her hike, it was hard to believe that she didn’t set out to complete the entire AT from the start. Lisa’s story sounds unique (yes, her first couple days on the trail were probably unique) but she is one of many I have met who started hiking the trail with no intention of completing it- and went all the way. There is something really amazing about setting out to thru-hike. To come up with the idea, accept the challenge and follow through on it. Make the dream real. But what happens when you stumble into it? Hiker Trash. That’s what happens. Lisa stepped boldly and made discoveries in that leap. I imagine she learned, among many things, that steering away from life’s agenda to follow an unexpected opportunity can lead to discovering things you never knew about yourself. In the chaos of thru-hiking, there are countless transferable learning experiences like this one. The nice thing about hiking the trail is nobody decides for you what the lessons are going to be. You come up with them all on your own, toying day after week after month with how you respond to regular adversity, overwhelming emotion and the glory of the unknown. 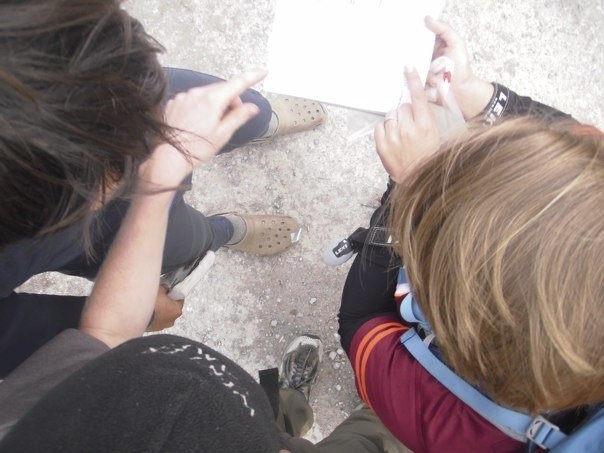 Like going to school, or having a family or any other of life’s assorted tests and challenges, hiking the AT guides people in finding out what they are capable of. You never know what you might be talented at until you try. Lisa learned this on the AT, and so did I… and so many other people who have traveled the trail- 20, 200 or 2,000 miles of it. It seems to make no difference whether you show up to the trail oblivious of its ancient texture and wild stretch, or if you are hiking it for the third time. Whoever you are, the AT can be your vehicle to discovery if you want it to be. But the AT is just a corner of the world and discovery knows so much more than 2,000 miles. So I ask, what is not on your radar? Is there space in your life to ditch the super-soaker, change up the contents of your backpack and try something new? It’s not so important to answer that question. Maybe just asking it is enough. The trail’s reach is wider than the narrow corridor of land that we call The People’s Path. Lisa’s story reminds me that it’s important for us to learn about ourselves, but also to extend what the trail has taught us to the other communities in our lives. The trail was never meant to be isolated. It was meant to unify America: to connect individuals, communities and the natural world. That’s the life of the trail. Sharing our discoveries colors the world. So whatever your connection with the trail, soak it up and pass it on. Learn something about yourself, and be that bold person after the trail. Don’t super-soak people because that kind of betrays LNT principle #7. But jump out from the woodwork and ambush the rest of the world with the treasure of discovery. My name is Kyle. Many years ago, my friend asked me if I wanted to hike the AT. I said "No way." But in '09, I did. And in '16, the PCT. Today, I remember my AT warm-up hike: a few days in NY on the AT surviving on a big box of Chewy Bars. If I can save just one hiker from having to live off Chewy Bars for a week, then that's what I'm here for. Really enjoyed Lisa’s story. It takes humor to endure 5 months on The AT. Her smiles say it all. Kyle, thank you for a most enjoyable post.